Election Day, as everyone knows, is the most sacred of days in America’s civic religion—the pageant of democracy, the fundamental exercise of self-government, the day citizens in their millions get to choose their own leaders. For the Fourth Estate, meanwhile, the first Tuesday in November is rather less glorious. On no other day of the year do America’s newspapers—and websites, and televisual chyrons—feature such banal headlines. It’s hard not to feel for the folks who have to write them: Hemmed in by a lack of news on one side and an institutional culture that shrinks from any appearance of bias on the other, the great American broadsheets go through a quadrennial exercise in adorning their front pages with news that is at once accurate, unbiased, and utterly unsurprising. 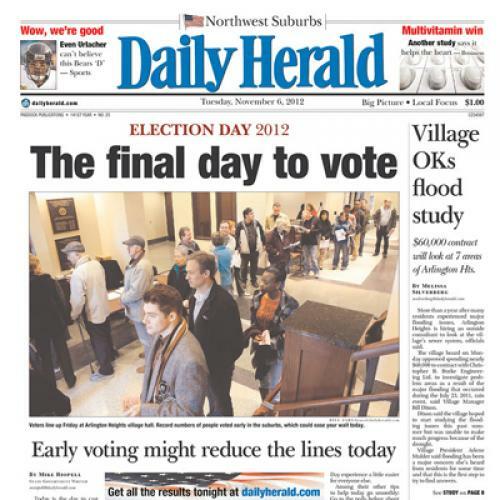 Thus do some of the most storied champions of the free press feature front-page scoops that boil down to this: Today is the day when many citizens will vote, and the results of their votes will determine the president. Hard to disagree with any of that! Follow the links to relieve your pre-vote tedium.